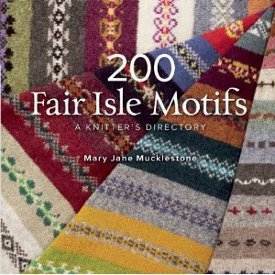 AllFreeKnitting is giving away a copy of the new book, 200 Fair Isle Motifs: A Knitter’s Directory. Enter now for your chance to win a copy. Contest ends November 10. Get ready to dive into the colorful world of Fair Isle knitting with this collection of 200 motifs. Inside you’ll learn simple solutions to the complex designs featured in fair isle. If you’ve always been afraid of this type of knitting, don’t be. Author Mary Jane Mucklestone includes designs in easy-to-read charts, expert tips on how to select the proper colors and more. Besides instructions for blocking and finishing, this book is also great for new knitters in general, as it includes instructions for casting on and how to hold your yarn. Soon you’ll be knitting to your heart’s content and with 200 motifs to choose from, you’ll be able to make a variety of knit garments for everyone in your family. Find more information and enter to win on AllFreeKnitting here. As much as I love the seed stitch, my absolute favorite stitch has to be the gorgeous daisy stitch. Don’t you love these beautiful Daisy Stitch Handwarmers from the Purl Bee above? I’m also still swooning over this Autumn Leaves Tee pattern – too cute. While the daisy stitch takes some time to master (at least it did for me) the result is adorable star-shaped flowers all over your knit fabric. This stitch is perfect for adding visual interest to simple knit projects and also looks great in large sections, like on a sweater or a cozy afghan.